Recently, India hosted the heads of 23 nations and 10 ministerial representatives for the first International Solar Alliance (ISA) summit, which is expected to give a boost to India’s ambitions to lead global sustainable development. The Delhi summit was co-hosted by President Ram Nath Kovind and his French counterpart, President Emmanuel Macron. This is also the first time an international and inter-governmental organisation has set up its headquarters in India. An NIA probe revealed that Zeliang was personally involved in the collection of ‘taxes’ on behalf of the NSCN(K), with the state’s top officers allegedly collecting crores of rupees from government officials and businessmen and routing the money to the terror outfit. Former Nagaland chief minister T R Zeliang, on whose behalf the Christian church and clergy campaigned vigorously for the assembly polls held last month, is likely to be arrested by the National Investigation Agency (NIA) for his role in funding Naga terror outfits like the S S Khaplang faction of the National Socialist Council of Nagaland (NSCN-K). The NIA has been probing the role of politicians, bureaucrats and others – including so-called ‘Church elders’ – in funding the NSCN(K) and some other Naga terror outfits. The Taliban Have Gone High-Tech. 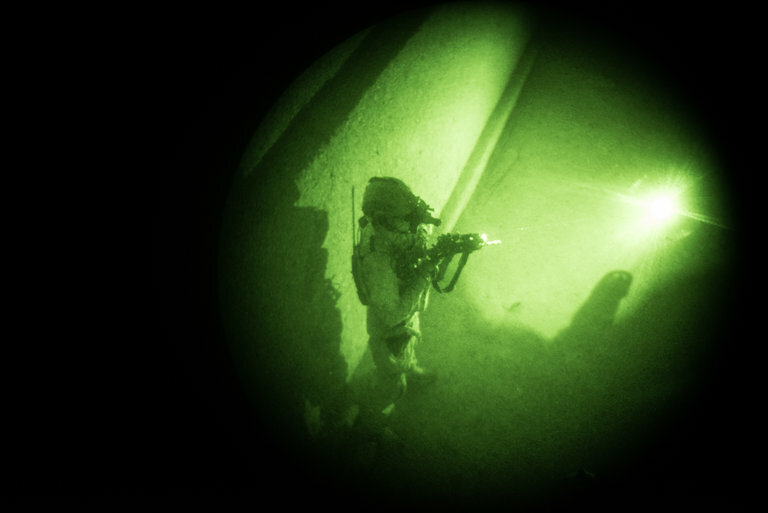 That Poses a Dilemma for the U.S.
Once described as an ill-equipped band of insurgents, the Taliban are increasingly attacking security forces across Afghanistan using night-vision goggles and lasers that United States military officials said were either stolen from Afghan and international troops or bought on the black market. 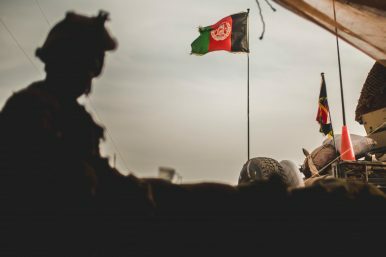 The devices allow the Taliban to maneuver on forces under the cover of darkness as they track the whirling blades of coalition helicopters, the infrared lasers on American rifles, or even the bedtime movements of local police officers. The Trump Administration is supportive of Afghan President Ashraf Ghani’s call for talks with the Taliban in order to bring peace to Afghanistan. Russia, Iran and China have also reached out to the group The interest in talking to the Taliban is partly the result of concerns about the Islamic State in Afghanistan. Calling itself Wilayat Khorasan, the Islamic State’s South Asian branch is more commonly referred in Western media as ISIS-K or ISKP (Islamic State Khorasan Province). ISKP lays claim to an emirate comprising parts of Iran, three Central Asian republics, Afghanistan, Pakistan and in some maps parts of Kashmir in India and Xinjiang in western China. The group has sworn loyalty to Abu Bakr al-Baghdadi even though most analysts agree that at least in the early years there was little or no connection between this group and the Islamic State in the Middle East. IN THE 27 years since he became headmaster of a school in Trishal, in northern Bangladesh, Mohamed Iqbal Baher has noticed some changes in his pupils. 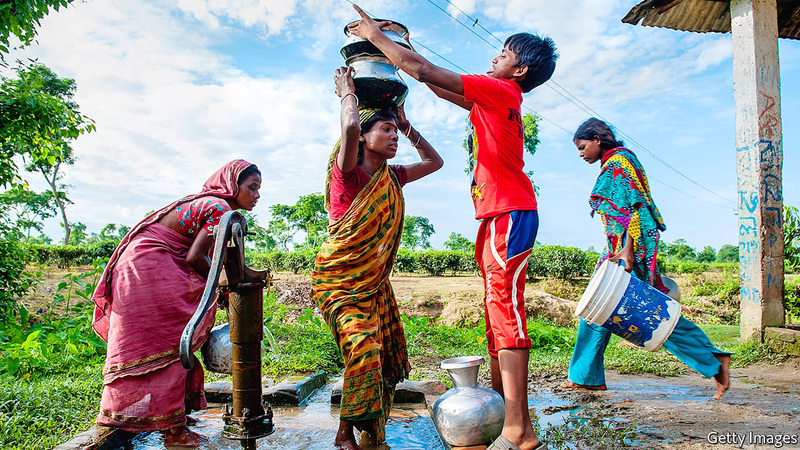 Although boys and girls are often absent because they are helping their parents in the fields, they miss fewer lessons because of illness. Mr Baher does not recall an outbreak of cholera in the past ten years. And, although he cannot be sure, he thinks that pupils are taller than they used to be. President Trump imposed $60 billion in annual tariffs against Chinese products, following through on his longtime threat. (The Washington Post) The Chinese government plans to immediately impose tariffs on 128 U.S. products, including pork and certain fruits, a direct response to President Trump’s recent moves to pursue numerous trade restrictions against Beijing. If U.S. goods become more expensive in China, Chinese buyers could opt to purchase products from Europe, South America or elsewhere, though White House officials have routinely discounted the likelihood of this. Beijing’s move could force Trump to decide whether to follow through on expansive trade restrictions he had hoped would crack down on China even if Beijing is now threatening to harm U.S. companies that rely on Asian markets for buyers. China’s AI ambitions are driving US innovation. So what’s America’s hold up? WASHINGTON — China’s drive to lead the world in artificial intelligence is spurring American efforts keep its technological edge, especially when it comes to national security. A technology wave equivalent to the Industrial Revolution, electrification and mechanization, “intelligentization” has the potential to change the way wars are fought, as well as finance, medicine and transportation, said former Deputy Defense Secretary Bob Work, now part of the Center for a New American Security’s Artificial Intelligence and Global Security Initiative. A technology wave equivalent to the Industrial Revolution, electrification and mechanization, “intelligentization” has the potential to change the way wars are fought, as well as finance, medicine and transportation, said former Deputy Defense Secretary Bob Work, now part of the Center for a New American Security’s Artificial Intelligence and Global Security Initiative. “I think AI is as ... important as the space race was in the Cold War. And as a nation, we responded to the challenge of competing in space.” Work said at a recent forum on the topic, drawing a comparison to America’s all-in effort to launch the Apollo 11 lunar mission. The national security nexus is more about economic competitiveness than weaponry, Work said. “We’re not going to approach this as though we’re in an AI arms race with China. But without question China is the pacing competitor in AI right now,” Work said. 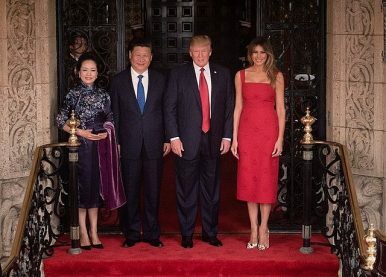 The Chinese government hit back Monday at President Trump’s tariffs on steel and aluminum by acting on a threat to put tariffs as high as 25 percent on imports of 128 American-made products, including pork and seamless steel pipes.The Chinese Ministry of Commerce indicated that the tariffs, which it first publicly suggested almost two weeks ago, were intended to pressure the Trump administration to back down from a simmering trade war. In addition to imposing additional tariffs on steel and aluminum from China and other countries, President Trump has threatened to put protective duties on other Chinese-made products worth $60 billion. The Chinese military is apparently working on a solution to the identification problem, and has proposed building a targeting network around the high-flying Divine Eagle sensor drone. A Divine Eagle could pass targeting data to a VLRAAM-armed fighter — and potentially even to the missile itself, provided any operational version of the munition incorporates a datalink. In concept, China’s potential sensor-shooter network is similar to the U.S. Navy’s own Naval Integrated Fire Control-Counter Air network, which ties together various sensors platforms with fighters and ships firing AMRAAMs and sea-launched air-defense missiles. NIFC-CA first deployed with a carrier battle group in 2015. On February 1, 2018, China’s Xinjiang Uyghur Autonomous Region (XUAR) revealed a stunning 92.8 percent increase in its domestic security spending: from 30.05 billion RMB in 2016 to 57.95 billion RMB in 2017 (Xinjiang Net, 3 February). Within a decade, this figure has increased nearly ten-fold, up from 5.45 billion RMB in 2007. This most recent increase is arguably a direct result of the extreme securitization measures implemented by the region’s Party Secretary Chen Quanguo, who unleashed unprecedented police recruitment and police station construction drives (China Brief, 14 March 2017; China Brief, 21 September 2017). However, what is the context of these seemingly staggering figures? How does Xinjiang’s domestic security spending compare to per capita counts in other provinces, to China’s national average, or to other nations? Do XUAR spending increases reflect the built-up of a massive police state, or are they merely reflective of a necessary process of catching up, since China in general and its west in particular featured an under-resourced security apparatus in the early 2000s (China Policy Institute Analysis, February 14 2018)? In a speech just days before the founding of the People’s Republic of China, Chairman Mao Zedong famously declared, “The Chinese people have stood up.” Since then “standing up” has carried a special meaning in Chinese political discourse. It refers to an individual or group that finally shakes off humiliation and suffering inflicted by another individual or group, and potently reasserts one’s dignity and strength. Thus it caused a big stir when Australian Prime Minister Malcolm Turnbull used this phrase to hit back at Beijing’s criticism of him. “And we stand up and so we say, the Australian people stand up,” he proclaimed, referring to an anti-espionage law he had introduced earlier. That law was widely viewed as Canberra’s response to alleged Chinese interference in Australian politics. To make sure his message was not lost on his intended audience, Turnbull switched between English and Chinese as he spoke. Russia and China are drawing closer together as Moscow faces further isolation from the West. Indeed, the two great powers are starting to co-develop new weapons systems. One such example is a new drone that would be launched from a multiple launch rocket system. "Joint experimental design work with the Chinese side is underway," Tecmash Research and Production Group deputy CEO Alexander Kochkin said at the ArmHiTec-2018 exhibition on Friday according to the TASS news agency. Criminal and terrorist networks are exploiting today’s innovative technologies for their own gain, posing a direct threat to U.S. security and global stability. Illicit terrorist financing, including through bitcoin and other cryptocurrencies, are now being used to fund terrorist groups and circumvent U.S. sanctions. ISIS and rogue nation-states like North Korea, and regional powers like Iran and Russia, sanctioned for their role in conflicts, may also look to illicit financing in order to exploit the international financial system. Three key factors defined the terrorist threat landscape in 2017: the international coalition’s military dismantling of Islamic State’s (IS) caliphate, and their return to a nebulous insurgency structure; increased IS activity in South East Asia catalysed by the battle for Marawi; and the potential resurgence of al-Qaeda. These developments have in turn shaped the evolution of international counterterrorism (CT) agendas at local, regional and international levels. The challenges include the prospect of returning foreign fighters, the sustained threat of lone actor attacks, and the capacity of ‘virtual attack planners’. There’s no single way to address these issues and different regions/countries have developed their own policy and operational responses that reflect local socio-political developments. In addition, factors such as proximity to conflict, porous borders, low-levels of governance and corrupt state regimes have a tangible impact on how CT policy and practice is implemented. BRUSSELS — When leaders of the European Union gathered last Thursday night for a working dinner inside their lavish new headquarters, the conversation turned to Russia. Over scallops and lamb, Prime Minister Theresa May of Britain shared intelligence detailing the high probability that the Russian state had carried out the poisoning of a former Russian spy on British soil. 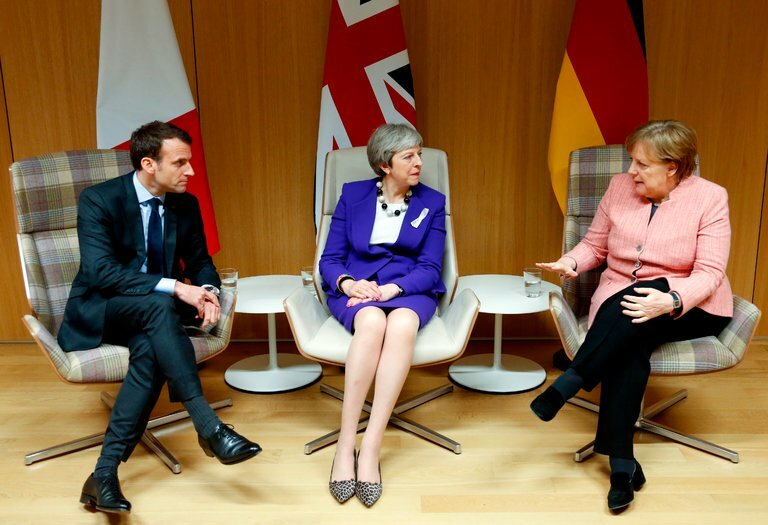 Usually, Mrs. May is the odd woman out at European Union gatherings, given that she is trying to negotiate Britain’s departure from the bloc. But not this time. By the next morning, European Union leaders agreed that a coordinated response was needed, according to four senior European officials. Then President Emmanuel Macron of France said everyone should go home and consider expelling Russian diplomats. Can Jim Mattis Hold the Line in Trump’s ‘War Cabinet’? Another great article, which includes a key quote and very basic question raised by Russian Tac Nukes: “Imagine this scenario: Much like it did in Ukraine, Russia invades Estonia. The U.S. comes to the defense of its NATO ally, but as American troops flow forward, Russia uses a tactical nuclear weapon on a U.S. carrier group in the Baltic Sea, killing a few thousand.” They intend to use them in a contrived conflict with “new NATO” – just as we did in the 50’s with “trip wire”. It’s what we get for “not paying attention” since RR, and spending trillions elsewhere…. On March 25, Houthi forces in Yemen fired seven missiles at Riyadh. Saudi Arabia confirmed the launches and asserted that it successfully intercepted all seven. This wasn’t true. It’s not just that falling debris in Riyadh killed at least one person and sent two more to the hospital. There’s no evidence that Saudi Arabia intercepted any missiles at all. And that raises uncomfortable questions not just about the Saudis, but about the United States, which seems to have sold them — and its own public — a lemon of a missile defense system. Turkmenistan’s President Gurbanguly Berdimuhamedow visited the United Arab Emirates and Kuwait in mid-March as part of a campaign to revive a long-stalled natural gas pipeline from his country to Pakistan and India (Neftegaz.ru, March 16). The visit occurred three weeks after a February 23 groundbreaking ceremony marking the latest effort to put the Turkmenistan–Afghanistan–Pakistan–India (TAPI) pipeline back on track. The ceremony, held on the Turkmenistan-Afghanistan border to initiate the second stage of the pipeline—which will run through Afghanistan—was a high-profile affair. In attendance were Berdimuhamedow, Afghan President Ashraf Ghani, Pakistani Prime Minister Shahid Khaquan Abbasi and India’s Minister of State for External Affairs Mobashar Jawed Akbar (RBK, February 23). One of the clearest indications of the potential importance of any new innovation is the level to which various power centers fight to control it. As such, it is quite significant that the Federal Security Service (FSB) as well as Russian military intelligence (GRU) have both been stepping up their efforts to gain control over the country’s private military companies (PMC). These entities are still technically illegal in Russia. And yet, mercenary forces have been a noteworthy part of Russia’s military operations abroad, and they are frequently trained and commanded by the Ministry of Defense. Clearly, the country’s two main intelligence agencies believe PMCs are going to play an ever more important role in Russian actions beyond its borders and want to make sure that they, rather than the defense ministry, control them. The population of the Francophone world will swell to more than 1 billion by 2065, creating a large demographic over which Paris will work to extend its influence.President Macron will take steps to boost the teaching of French in former colonies following decades of declining instruction.Paris will also seek to extend the reach of French in prominent Anglophone states such as Nigeria. The spectacular growth of computers and other electronic devices created from silicon based integrated circuits has swept all competing technologies from the marketplace. Moore’s Law, which states that the density of transistors within an integrated circuit, and therefore its speed, will double every two years, is expected to end before 2025    as the minimum feature size on a chip bumps into the inherent granularity of atoms and molecules. While there are a number of promising technologies that may move clock speeds into the 10s of GHz, switching speeds in silicon will eventually reach a limit. Figure 1 shows that clock speed has already plateaued ; performance improvements are now dependent on better instruction pipelines and multicore architecture. The Cambridge Analytica scandal is the latest in a series of incidents that, taken together, have contributed to a rising sense of alarm over the effects of social media — on human behaviour, on civil discourse, on democratic politics. A growing number of commentators have concluded that social media — shorthand for Facebook, Twitter and Google — are more a force for harm than good, whether in their own lives or society at large. Certainly the effects are not trivial. Whether or not you think the more underhanded uses of social media — fake news, Russian bots, or the exploitation of improperly obtained personal data to compile detailed psychological profiles of tens of millions of voters — decided the course of the last U.S. presidential election, they plainly were of some importance, or those responsible would not have gone to such lengths to deploy them. Those famous words resonate with us all, as does the dramatic mushroom cloud on the horizon. In fact, everything about nuclear weapons is worthy of a superlative; expense, explosive power, political clout to name a few. But are we going the same way with e-weapons? How do we measure the scale of a cyber-attack so that we can respond? There is no doubt that an e-weapon could kill thousands of people in a few seconds: bursting a dam, crashing airliners, destroying health IT or overheating a nuclear power plant. Advanced battlefield cyber capabilities were once only reserved for the most highly trained and secretive forces, but now these tools and concepts are emerging from the shadows where they originated. 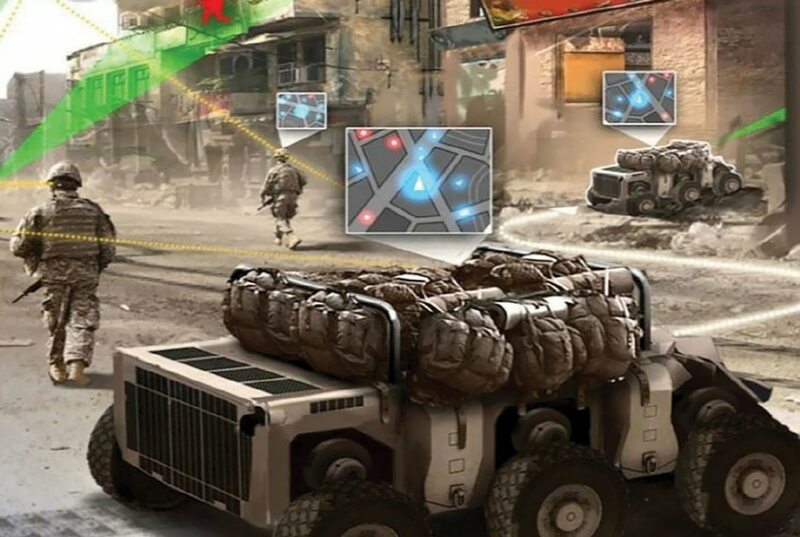 In the not too distant future, brigades could have their own “cyber bullets” that could be used without going through lengthy approval processes or require support from remote cyber operators. Leidos is working to make this capability a realty. During a demo at the AUSA Global Force Symposium in Huntsville, Alabama March 27, Leidos unveiled how local forces can use advanced capabilities through a jamming pod mounted to a large MQ-1C Gray Eagle drone. This would allow forces to mine IP addresses, intercept communications and even manipulate enemy messages. Bitcoin has attracted wide interest in recent months, but it’s blockchain—the technology that underpins bitcoin and other cryptocurrencies—that has the potential to remake important aspects of the utility industry. Leading utilities have begun to ask how they could take advantage of these uses while withstanding threats from blockchain-enabled challengers. The emergence of blockchain introduces a new measure of uncertainty at a time when the industry is changing rapidly due to renewable and distributed energy, energy efficiency, energy storage, and digitization. The Facebook-Cambridge Analytica data exploitation crisis seems to be waking up a new wave of Americans to the fundamental downsides of our purposeful addiction to social media providers. Russia’s information war, designed to foment domestic unrest, exposed more of us to the reality of online manipulation, but many viewed this as a willful attack by an outsider, not reflective of a base problem with the social media platform business model. This week’s outing of how and why Cambridge Analytica extracted vital, personal information on more than 50 million Americans for political reasons amplifies how dangerous the fundamental business model is to our national cohesion. After 17 years of war against low-tech adversaries, Army leaders understand that the next fight will be against high-end threats and recognize the need to modernize. 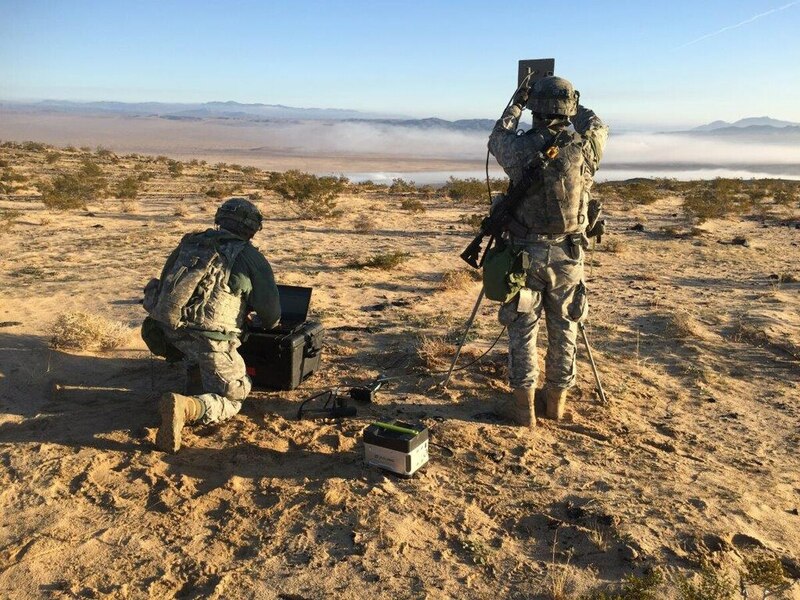 One of the critical modernization points is the Army’s tactical network, which leaders have determined won’t stack up against sophisticated enemies who can detect electronic signatures, jam signals and conduct cyber attacks. 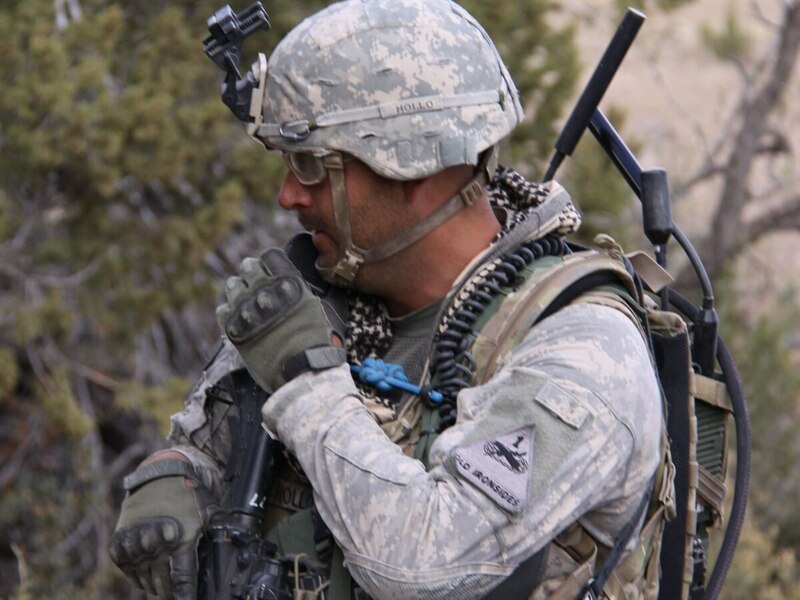 Now, a newly established cross functional team is focusing on two priorities to meet these challenges: the unified tactical network and coalition interoperability. Marines with 3rd Battalion, 4th Marine Regiment test Step In Visor and Low Profile Mandible during Urban Advanced Naval Technology Exercise 2018 (ANTX-18) at Marine Corps Base Camp Pendleton, California, March 19. (Lance Cpl. 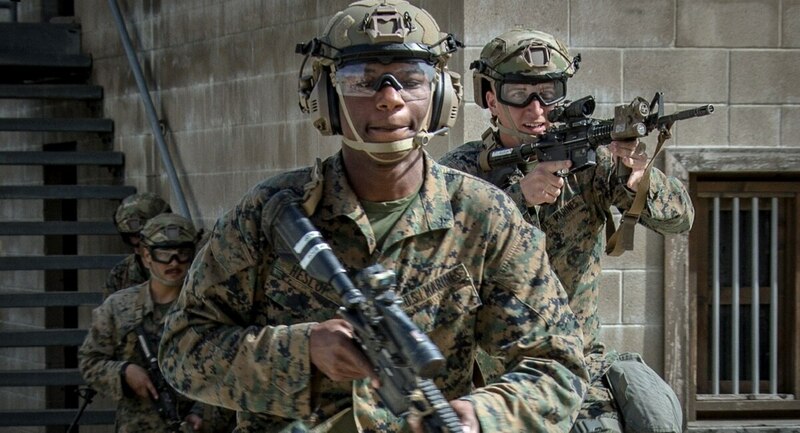 Rhita Daniel/Marine Corps) Marines equipped with sophisticated optics, ops-core helmets, tablets and sensors move swiftly from room to room, clearing buildings in a futuristic urban environment. As autonomous and remote-controlled ground vehicles provide security and overwatch, it’s a redolent image of elite special operators amid a high-speed raid. But in reality, its part of an exercise aboard Camp Pendleton, California, and these Marines are grunts with Kilo Company, 3rd Battalion, 4th Marine Regiment. Is the United States on the road to war? The number of people who think so seems to be growing, especially after President Donald Trump fired several of the grown-ups who were reportedly tempering his worst instincts and proceeded to elevate hawks such as CIA Director Mike Pompeo and John Bolton, the former U.S. ambassador to the United Nations. Writing in the New York Times Magazine this past Sunday, Robert Worth portrays Defense Secretary James Mattis as the sole voice of reason in Trump’s new “war cabinet” and highlights the risks of conflict with Iran, North Korea, and maybe a few other countries. How nervous should we be, and how might we tell if Trump is really serious about war or not?